The U.P. 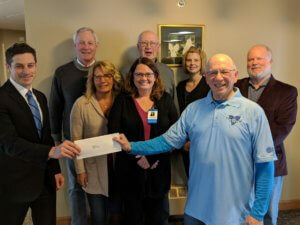 Hospice Foundation provided over $25,000 to the Trillium House in 2018 in support of residents who chose U.P. 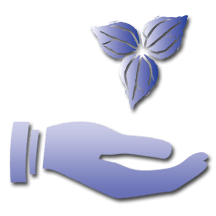 Home Health & Hospice, their affiliated program. Funds were used to help support the patients rent costs in the home along with other services such as Virtual Reality programming, nutritional supplements, supplies and a variety of other programs. In this photo, Jeremy Hansen, board member for the U.P. Hospice Foundation, presents Dr. Aaron Scholnik, Trillium House Board President with a ceremonial check.